Leyton Orient maintained their winning start to the League Two season with a comfortable victory over Stevenage. It took until the 74th minute for the hosts to go in front when Jay Simpson headed in Dean Cox's cross. Blair Turgott added a second from 18 yards for his first Orient goal, before another summer arrival, Ollie Palmer, also grabbed his first goal. Brett Williams and Dipo Akinyemi hit the post for Stevenage in the first half, as Orient went top of the league. "It's not about doing stuff for 45 or 50 minutes. It's a 90-minute game. You've got to be clued in. You can't do it for 55 and think you'll get away with it. "We've had chances to get ourselves in front and that's the disappointing thing. You've got to be resilient all over the pitch, it's not just about half-chances. When you're in good positions you've got to dominate teams. "We need to get accustomed to what it takes to win football matches and get ruthless with each other. Perhaps no more of the 'Mr Nice Guy' and enjoying the surroundings." Match ends, Leyton Orient 3, Stevenage 0. Second Half ends, Leyton Orient 3, Stevenage 0. Attempt saved. Mark Hughes (Stevenage) header from the centre of the box is saved in the centre of the goal. Corner, Stevenage. Conceded by Connor Essam. Corner, Stevenage. Conceded by Sean Clohessy. Goal! Leyton Orient 3, Stevenage 0. Ollie Palmer (Leyton Orient) right footed shot from the left side of the box to the centre of the goal. Corner, Leyton Orient. Conceded by Jerome Okimo. Jerome Okimo (Stevenage) is shown the yellow card for a bad foul. Attempt blocked. Jay Simpson (Leyton Orient) right footed shot from outside the box is blocked. Goal! Leyton Orient 2, Stevenage 0. Blair Turgott (Leyton Orient) right footed shot from the centre of the box to the top left corner. Assisted by Sean Clohessy. Substitution, Leyton Orient. Alan Dunne replaces Dean Cox. Fraser Franks (Stevenage) is shown the yellow card for a bad foul. Dean Cox (Leyton Orient) wins a free kick on the right wing. Substitution, Stevenage. Jack Storer replaces Tom Pett. Substitution, Stevenage. Tom Hitchcock replaces Brett Williams. Goal! Leyton Orient 1, Stevenage 0. Jay Simpson (Leyton Orient) header from the centre of the box to the top right corner. Assisted by Dean Cox. Steven Schumacher (Stevenage) is shown the yellow card for a bad foul. Blair Turgott (Leyton Orient) wins a free kick on the left wing. Attempt missed. Tom Conlon (Stevenage) right footed shot from the centre of the box is close, but misses to the left. Attempt missed. Tom Conlon (Stevenage) left footed shot from a difficult angle and long range on the right is too high from a direct free kick. Foul by Frazer Shaw (Leyton Orient). Brett Williams (Stevenage) wins a free kick in the defensive half. Substitution, Stevenage. Tom Conlon replaces Charlie Lee. Attempt missed. Paul McCallum (Leyton Orient) header from the centre of the box is just a bit too high. Corner, Stevenage. Conceded by Bradley Pritchard. 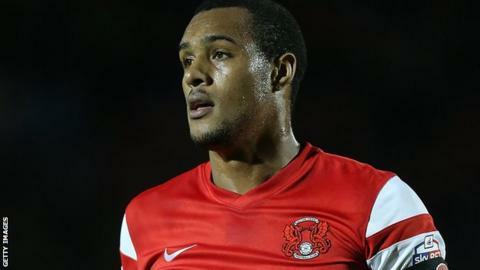 Jay Simpson (Leyton Orient) is shown the yellow card for a bad foul.